Does anyone have this Quagsire plush? and is willing to sell it? http://www.flickr.com/photos/pokeplushproject/2302679549/ INFO thanks to PokePlush Project! ALSO anyone have the Tomy beanie? WANT to BUY/ADOPT: 1 Smaller Mewtwo Plush Backpack! Hey there fellow Pokemon collectors! It's been a little while since I've really been active in the community as I've been busy taking care of non-Pokemon-related things, but I was wondering if someone might be able to help me out here. I am looking to buy/adopt a Mewtwo plush backpack of the 16-18 inches big/long variety (smaller size) who is in good clean and functional condition and still in possession of both straps and zipper + pouch. The one I am looking to hopefully buy/adopt from someone in the community would be like the smaller guy on the right and he - like the others - would receive much love in my care and collection. 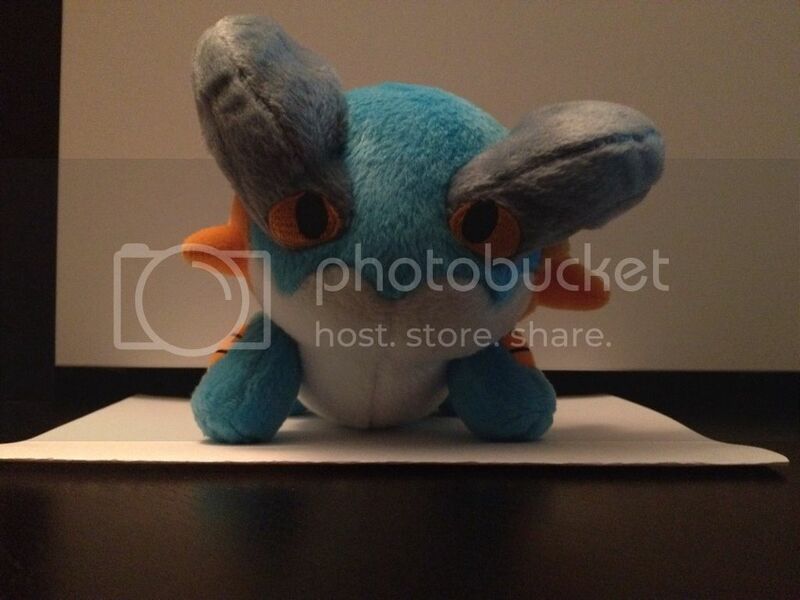 I want to do a quick group buy for the new my collection plush that were recently released. Lastly, Good News to everybody who participated in the Various Plush GA w/ me and zugagirl. We won the auction, and I want to thank all of you who participated. I will post up the prices as soon as I get the quote from noppin. pokedolls are BACK IN STYLE BABY part. 2! WELL!! yesterday i came home with 60 mini dolls and 60 regular dolls and i could not be MORE delighted with these guys. i think you will all love them too. witness the colorful delight of Mini "Mascot Pokedolls" and the THREE MUSKEDEERS!! i leave you with size comparisons. thank you dears! 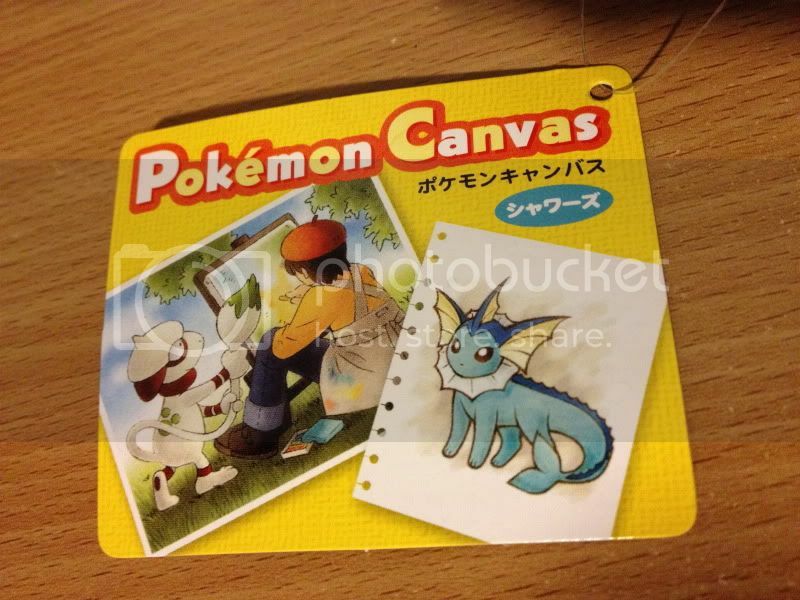 EDIT: these are still available for pickup until supplies run out at the pokemon center! AND AS FOR SHIPPING UPDATES! I've mailed out almost everyone's packages from my sales and auctions. I have about 14 left to post on Tuesday since i ran out of time to get them all out in one go :c I still have a few payments to accept on Paypal and some messages to reply to so i'll do that now! Open season at our local theme park. "Big" Pokemon gets! Much to my surprise I won on my third try. I was jumping up and down and immediately asked for the giant Oshawott. I then saw a sign that said "Two prize daily limit", so I figured I would try again. After two tries I gave up, and Dark_tyranitar decided he would give it a try. He ended up winning on his 2nd try, so we then asked for Snivy. Needless to say it was a pretty amazing day, since I really didn't think we stood a chance at winning one. Pics of our adventure under the cut. 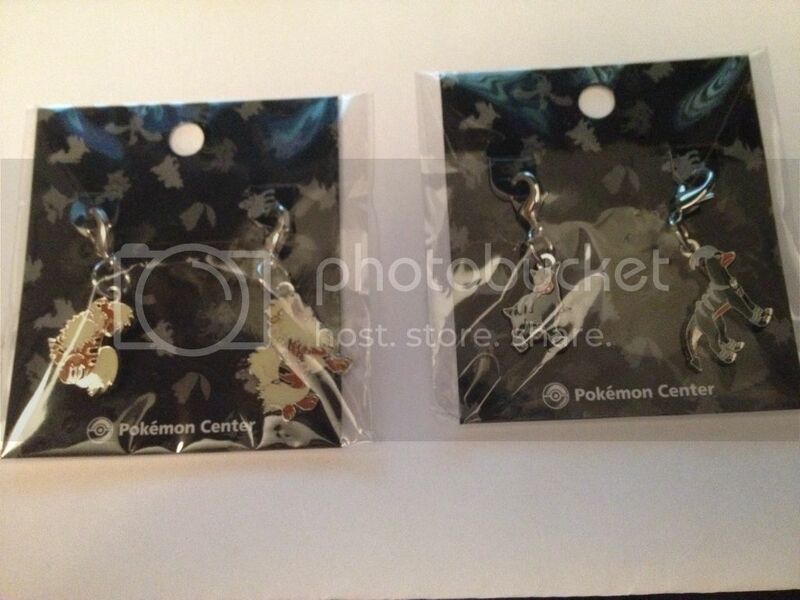 If you are keen on Mienshao and Hydreigon - they have been claimed but I can try asking my supplier if they can help! Thanks guys, and have a lovely week ahead! 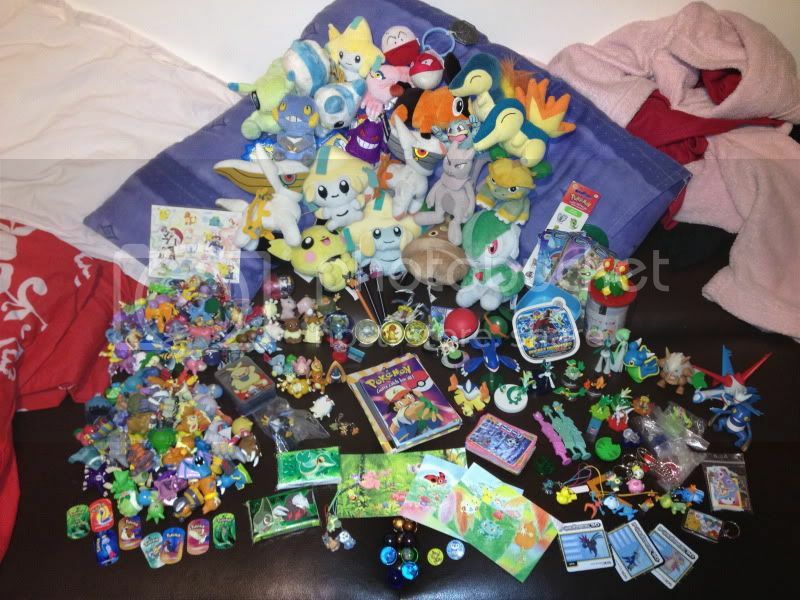 what is up with jakks and tcpi tcg?? We all know how it is with them, but I'm kind of worried... There is NO new plush even announced, nor is there any new figures. I use ToyWiz for my source of course, since they always seem ahead with the Jakks news. 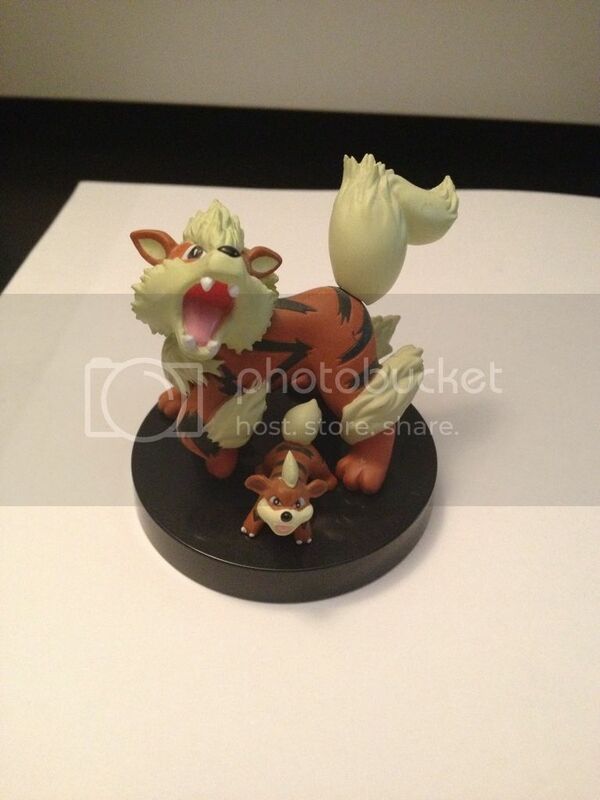 I know this was discussed on another topic, but here's why I'm worried: ToyWiz has a listing for the new DX figures of the starters' second evos. Gin even had a pic of them from the ToyFair, so they've at least been made into prototypes. ToyWiz had them up for preorder for many months, and now? They've been taken down. They always used official art (and fanart...) as stock photos, so they never did get any real stock in for actual photos. I don't if it's just my area, but have anyone else noticed a very delayed/poor distribution for cards? I remember it took me OVER a month to ever find the Mewtwo boxset, but others already found it upon release. Booster packs and tins seem to be on time, but not any of the other stuff. My area used to get cards, like the special boxsets, in BEFORE the release date sometimes, and now I look around, waiting. The distribution seems to be getting a little bad too. I haven't even seen all the main stores get in the Noble Victories blister packs, and I knew I was lucky to even FIND them. Currently, I've been looking for the Forces of Nature boxset, with no luck yet, and that thing came out two weeks ago, I believe? It seems like Europe is getting better distribution too. North America never even got the Next Destinies blister packs, for undisclosed reasons, but even though the promo cards (and hopefully the Munna coin) are supposed to come out at a later time, there hasn't been any word of it yet... I'll almost tempted just to get them off Troll and Toad, who have both the promos up for $2 each. So maybe it's just my area, I don't know... How about your guys' areas? And are any of you worried with the current trends of distribution? It's hard to say 'poor sales' when I always see sold out plush and whatnot, and the cards in many places seem to do well too. Just a reminder that I still have custom slots open for this month. c: So if you're interested in that give the banner below a click. If you're already expecting a custom figure from me, then they are now 50% done! Yay! Hello, community of wonderful people~! I've been REALLY caught up doing college work recently. I can't believe i've been away for about three months! Anywho, my brother's birthday is coming up within the next week, so I was wanting to ask: does anybody have a legit (NO BOOTIES PLEASE) copy of Pokemon Emerald? It doesn't have to be in perfect condition, I only ask that it works fine (no glitches, bad battery, corrupt saving, ect), doesn't have the label ripped off (but you could offer anyways: I might accept), and is a legitimate game, ie no Chinese knockoffs, just the real game. :D I'm looking for around $10-$15 (before shipping), but wing any offer you want~! If you have two of this game, then let me know~! I'd like a nostalgia trip and will gladly buy two copies of the game~! Thanks~! I'll also be putting up periodical sales posts soon (as setting up shop may take some time~! ), so keep an eye out~! I'm going to be selling some super-rare cards and perhaps some games, so keep an eye out~! Updates, Quick auction & Ebay lot! Hey guys! It's been awhile! I've had alot of trouble with IRL things recently and haven't had a whole lot of time for the internet! But that's boring so enough of that! I've decided a few things! 2. NASIJAGA - All items that were paid for have been shipped out as of Thursday, so they should be with you in around 3-4 weeks if international (Might be sooner depending on postal service) Most extras that were requested have been included, however some were missing and couldn't be included as i honestly can't find them, but thats only about 3 things. 3. 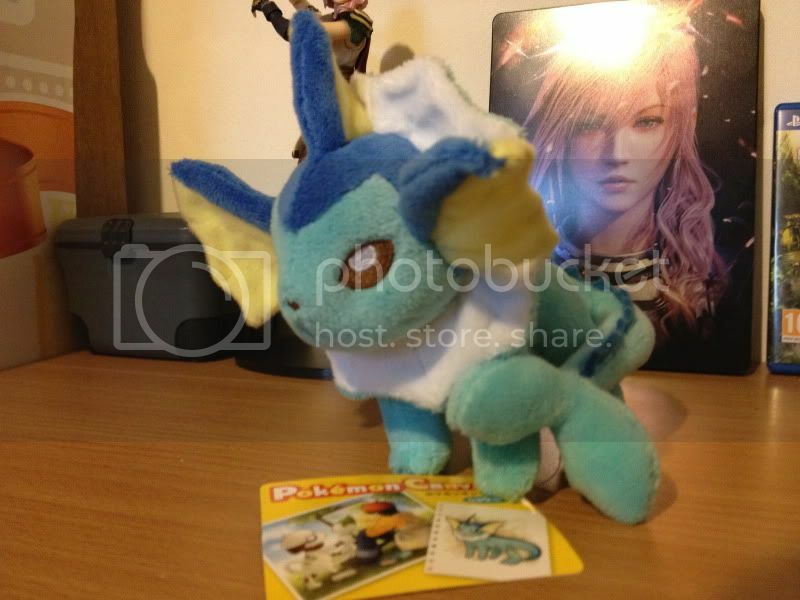 I still have my Vaporeon Canvas plush that didn't go in my auctions. 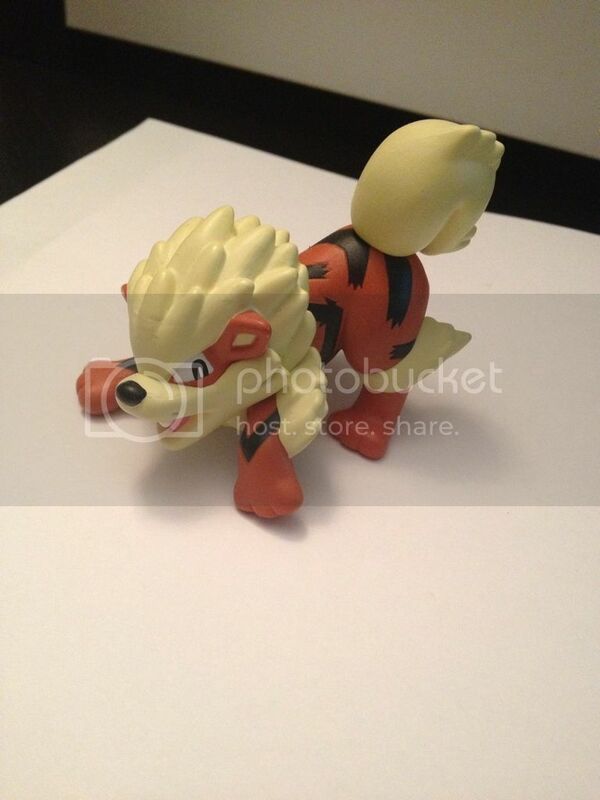 Would anyone be interested in him, and how much? shoot me a reasonable offer.. Im thinking no lower than $150 if possible for him? He's in Mint Condition and very lovely. 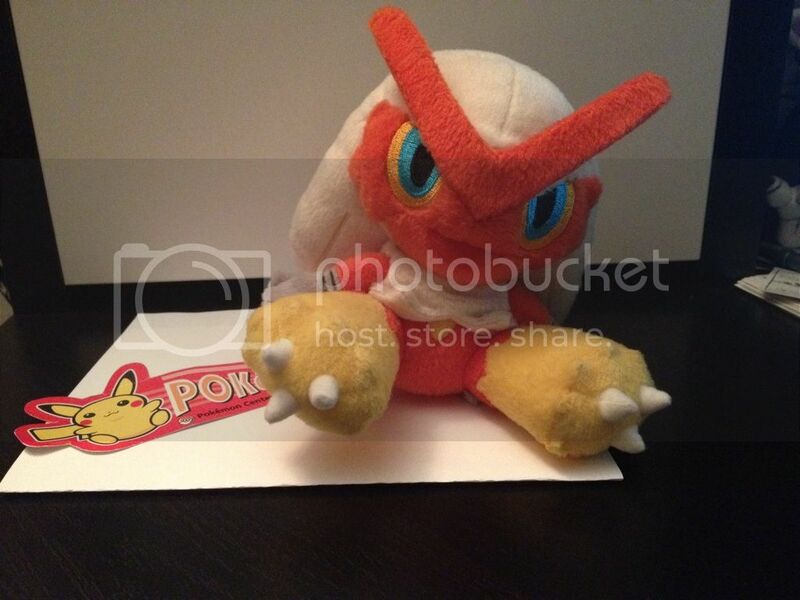 Pokecen SALES + pickup news! There is a LOT of stuff, so to help me when you ask for an item it would be better if you posted the link to the picture, especially for flats. Its actually a wooden box with fancy decorations all over and its from the Pokemon Center so Im wondering where this came from. Ohhh this is sooo great :3 I've only got one thing left for sale! I'm asking for 10$ for this lil cutie(shipping is included in the price), he was never attached to anything, but the package was opened to check what bookmark is in there(Sneasel one :D). Hope you had a great weekend my fellow collectors! 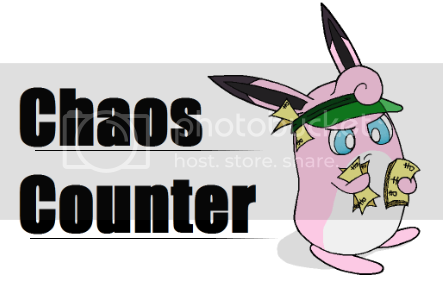 Did you do anything related to Pokemon this weekend? For my part I just chitchatted a little with my sister about it, so nothing special really^^"
I'm Nora, and I'm new to this community (The community that will eat my wallet), and I decided I'm gonna stop lurking and finally post here! Nice to meet you all!!!! I'm kinda newish to pokemon collecting, but I've always had an eye for rare things, and I've always found them to be so fascinating, which makes collecting so much fun for me!!!!! Time for some quick sales and auctions. The last 6 weeks weeks for me have been pretty dire, having now spent roughly $400 in vet bills Im needing to do some emergency sales and auctions and part with some items I really dont want to let go. 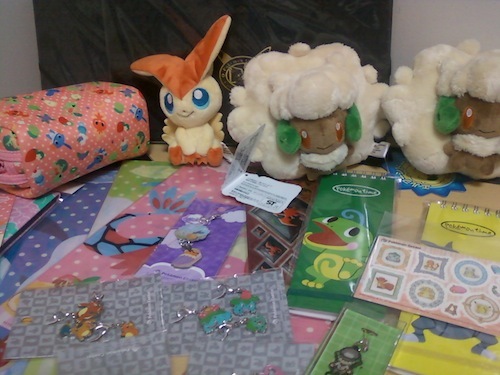 All these and more including what little of a Rufflet/Braviary collection I have + others!